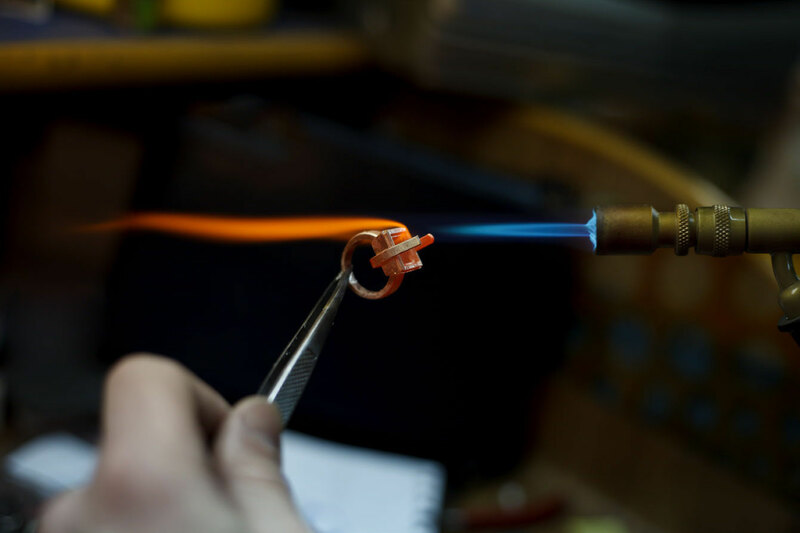 Manufacturing your custom jewelry allows us to be able to create exactly what you are looking for in the perfect and unique engagement ring or jewelry item. All of our jewelry and engagement rings are made by hand by the most experienced gold and platinum fabricators in the world. Our diamond setters have over 30 years of experience in making the most beautiful items you can dream of. Since our items are hand made they are 30% stronger than the cast made items seen in 99% of the jewelry market. We pride ourselves in being able to create the most impossible and unique designs in a short period of time, usually within just 5-10 days. If you require that the jewelry or engagement ring be made sooner than 5 business days we can usually accompany this, but please give us a call to discuss the details of the project.